I tacked up Wizard in his surcingle and long lines, and we did a little walking work in the indoor arena. It was a little too muddy to work outdoors. He was feeling pretty silly, since his grassy paddock is too damp for a lot of horseplay. He danced around during our trot work, and was less interested in bending and responding to the aids than he was last time we worked. After he was warmed up, I put him on the longe line for a few rotations at the trot in each direction. As soon as he started his trot to the left, I could tell that he was off in the same right front that has been giving him issues. It was still pretty subtle, but more lameness than I had seen in a while. Was it the wedge in his shoe? Did he slip in his paddock? I made a call to the vet, and scheduled an appointment for Friday afternoon. The vet first went over Wizard’s legs, and then watched him trot at liberty in the indoor arena. Naturally, as always, Wizard was much less lame for the vet than he was on Wednesday. 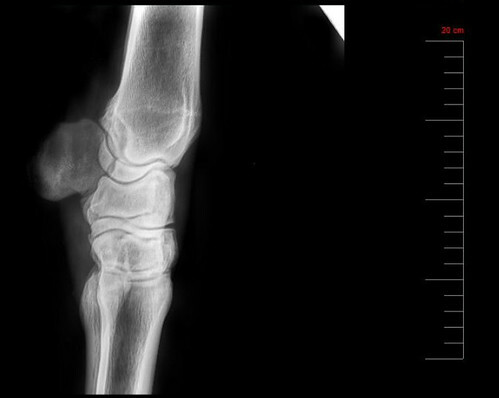 The lameness was pretty subtle- too subtle to try another series of diagnostic nerve blocks. 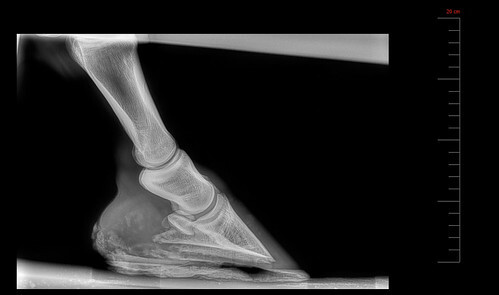 With Wizard’s low heels, the vet was expecting to see a negative palmar angle, and instead found the opposite with the rotated coffin bones, indicating an old founder. 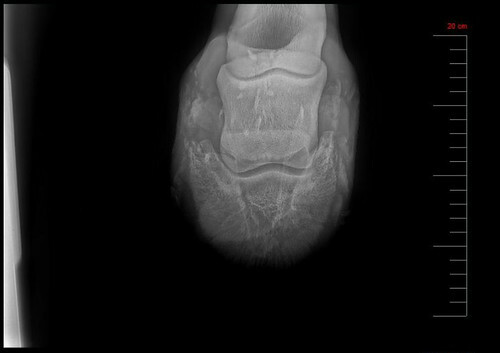 I asked about the cause, and the vet said it could range from old shoeing issues to a result of Lyme Disease, which has been known to founder a horse. 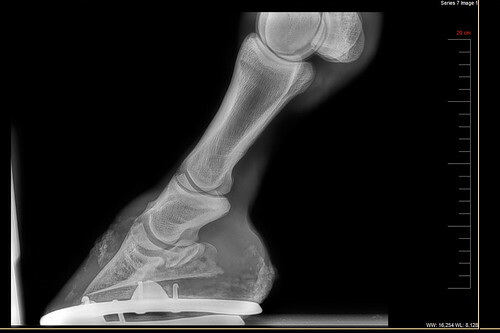 I am glad to have an answer, and a team of vets and a farrier who is ready to work on making Wizard as comfortable as possible. 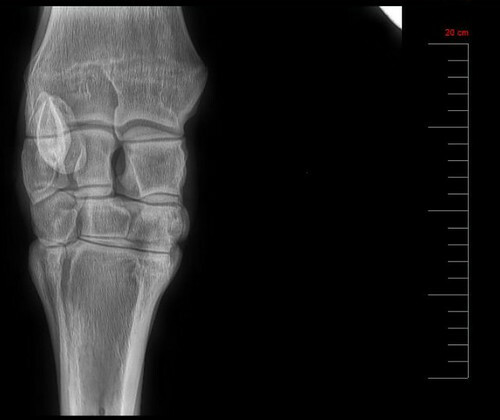 As far as the knee, the vet said that it actually looks pretty good for an almost-17-year-old Thoroughbred who raced on the track and also barrel raced. The creakiness, in this case, was not a sign of anything worse lurking beneath. 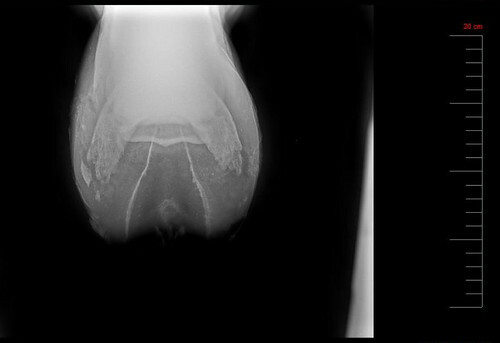 So now, the plan is to take pictures and chronicle the changes in Wizard’s feet. 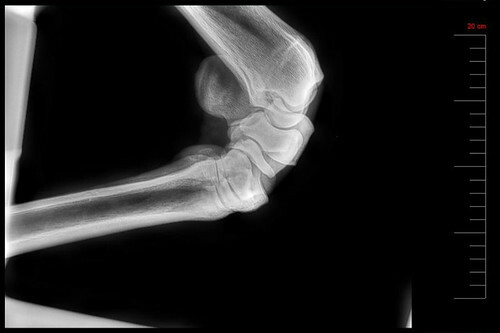 We will do more x-rays in about 6 months to see what progress we made. 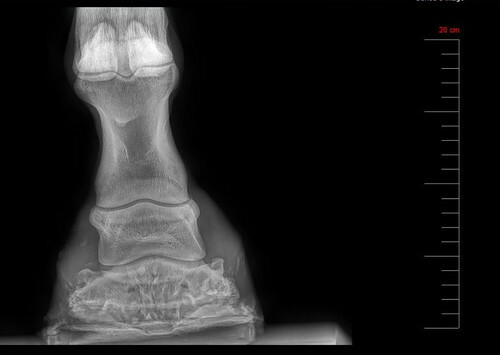 The other good news in all this is that I might have finally found the cause of any/all of his under-saddle/soundness issues. Fingers crossed.